tl;dr version – if you are on a citybound 48 or 75 tram and want to change to an outbound Mernda/Hurstbridge train, get off at Punt Road and walk to West Richmond Station instead of Jolimont. I recently had cause to catch a 75 tram and interchange with an outbound train at Jolimont Station. Normally I would get off at the Jolimont tram stop and walk down to the directly adjacent train station. However, because my tram was running late, the live tracking showed that I would just miss the train by about a minute (and then have to wait another 20 minutes for the next one). The PTV app told me to do some convoluted journey as an alternative which involved three buses and a tram. This didn’t really appeal to me so I came up with an alternative. Checking TramTracker and the PTV app revealed that I might just make the train if I got off the tram two stops earlier and got on the train one stop later. In other words, walking from the Punt Road tram stop to West Richmond, which would buy me precious minutes in this precarious game of catch-me-if-you-can. It turns out that this worked very well. 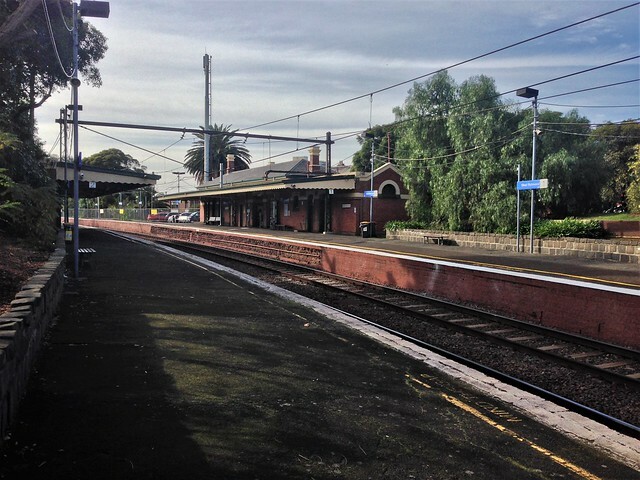 Although I had to walk the 350 metres pretty quickly, I arrived at West Richmond with 55 seconds to spare. Haha probably! The tram that I disembarked at Punt Road just missed the lights and so it had to wait a full cycle to continue again, so that may have been why it just missed the train at Jolimont.